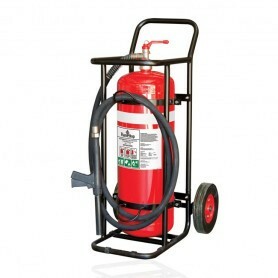 Mobile Fire Extinguishers There are 30 products. 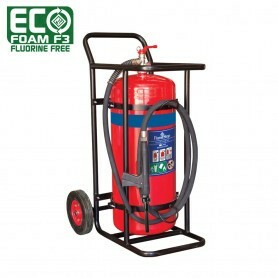 FlameStop proudly stocks a wide range of mobile fire extinguishers, from ABE Powder to Eco Foam F3. The range is available in various different sizes, giving customers increased flexibility. 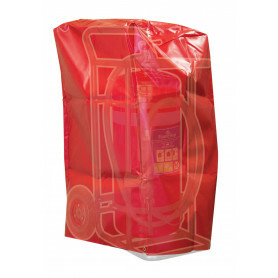 FlameStop’s ABE Mobile Extinguishers are suitable for all paper, textiles, wood, plastics, rubber, petrol, oil, paints, LPG, CNG, Acetylene and electrically charged equipment. The cylinder is constructed from stainless steel with a red powder coated finish. 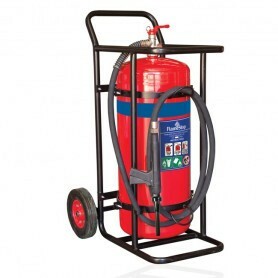 It is attached to a robust trolley that protects the cylinder and allows for ease of movement. The unit is available in 30kg, 50kg, 70kg and 90kg sizes and a choice of hard rubber or pneumatic tyres. FlameStop’s Purple K Mobile Extinguishers use Purple K, a high performance dry chemical powder and the preferred choice of gas, oil and chemical industries. It is one of the most effective dry chemical powders in fighting Class B fires. The cylinder is constructed from stainless steel with a red powder coated finish and brass valve. 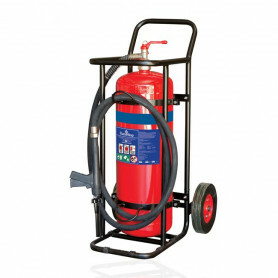 FlameStop’s range of BE Mobile Extinguishers are suitable for flammable liquid fires (Class B) and electrically energised equipment (Class E). 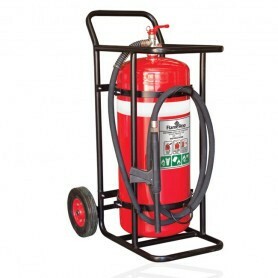 BE type mobile fire extinguishers are also suitable for cooking oil and fat fires (class F). The cylinder is constructed from stainless steel with a red powder coated finish and brass valve. 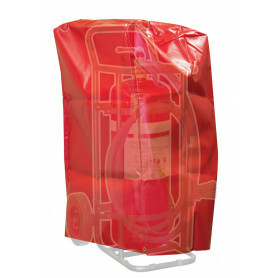 FlameStop’s Alcohol Resistant mobile extinguishers are suitable for fires that involve flammable and combustible liquids such as petrol, oil and paints (Class B) and combustibles such as paper, textiles, wood, plastics and rubber (Class A). The cylinders are constructed from stainless steel with a red powder coated finish and brass valve. 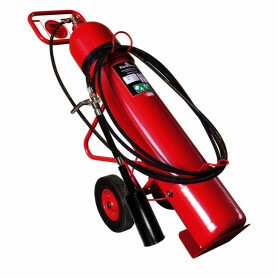 FlameStop’s superior AFFF (Aqueous Film Forming Foam) extinguishers are well suited to tackle Class A fires such as wood, paper and plastics, plus Class B flammable and combustible liquid fires such as oil based fuels, paints and solvents. 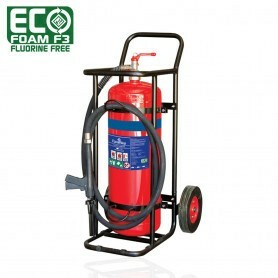 The foam used in FlameStop's AFFF mobile fire extinguishers is C6 compliant. 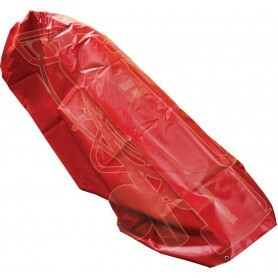 All units are available in 30L, 50L, 70L and 90L sizes and a choice of hard rubber or pneumatic tyres. FlameStop’s CO2 Mobile Extinguishers are suitable for fires that involve electrically energised equipment and in electrical environments (Class E). The cylinder is constructed from steel with a red powder coated finish. The unit is available in 22kg and 45kg sizes and a choice of hard rubber or pneumatic tyres. Suitable for fires that involve flammable and combustible liquids such as paper, textiles, wood, petrol, oil and paints, plastics and rubber.